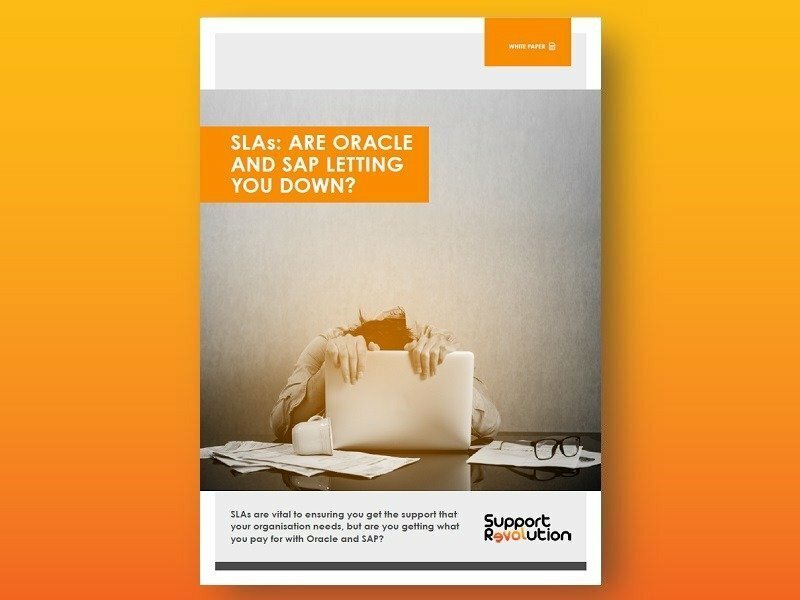 Support Revolution provides independent third-party software support and maintenance for your Oracle systems. We provide our own legislative and regulatory patches to replace those that you previously received from the manufacturer. We provide a personal level of service which includes a dedicated account management team who you will get to know personally, and provide regular management reports and onsite review meetings to ensure that you are completely delighted with our service and our teams’ performance. Our sister company has over 18 years’ experience as an Oracle partner so if you need more Oracle licenses or more products, they are able to supply these licences at discounted rates should you need them. We provide our own, expert support for any Oracle database version/release, from Oracle 8 right up to Oracle 12c, (the latest). We also offer a range of complementary services and can help you with any Oracle upgrade or to implement any new Oracle product or module. Support Revolution provides independent third-party software support and maintenance at a much lower price than the manufacturer. Our customers also enjoy the freedom of avoiding forced upgrades, continuing on their stable version for as long as they wish, achieving even greater savings. Below is an example of the financial savings one long-standing customer has achieved by transferring their software support & maintenance services to Support Revolution. When additional upgrade savings are also considered, a typical Support Revolution customer can achieve savings in excess of 75% and some have reported savings of 90% or more. At Support Revolution, we understand how important it is for you to have software support and maintenance that you can rely on; and that you want to be able to see the progress of resolutions as they happen. Our software support services are wide-reaching, ensuring you receive the most comprehensive support and maintenance services available. Discover how much budget you could be saving on your support costs – contact us for a no obligation estimate of immediate and ongoing savings.